This is a sponsored conversation written by me of behalf of Hidden Valley®. The opinions and text are all mine. 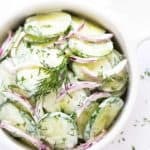 I absolutely LOVE ranch dressing… and cucumbers! 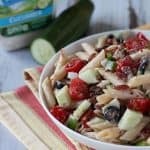 So when I saw the new Hidden Valley® Cucumber Ranch dressing, it inspired me to flavor up one of my favorite summertime pasta salads and I came up with this simple (and delicious!) 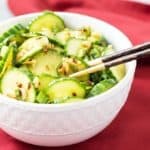 Cucumber Ranch Pasta Salad. Now that the days are longer and the weather is warmer, I don’t want to spend a ton of time in the kitchen (I’d rather be outside!). 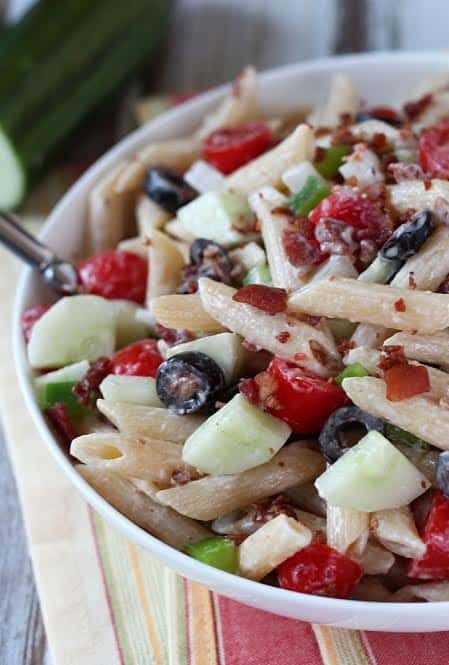 This pasta salad can be eaten as a meal in itself and isn’t rocket science to prepare. 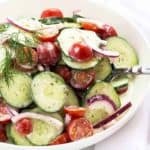 With the help of the flavors of the new Hidden Valley® Cucumber Ranch dressing, you can throw this together in less than 20 minutes. 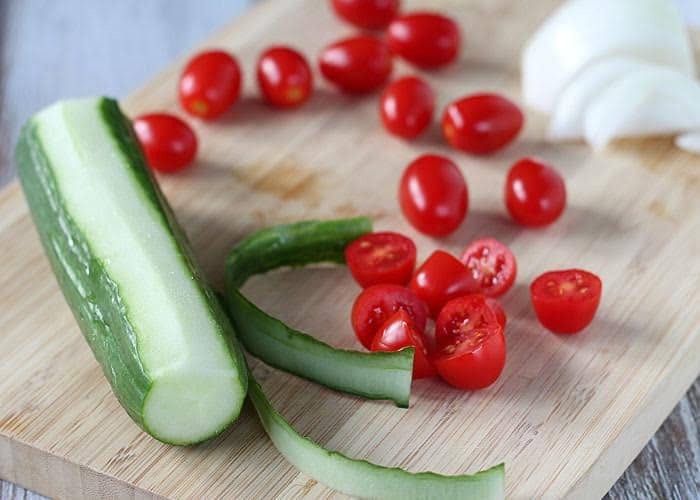 It’s as simple as chopping up a few vegetables and combining them with the pasta of your choice. I also added bacon pieces. 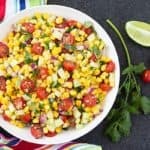 Leftover shredded chicken would also be a great addition! 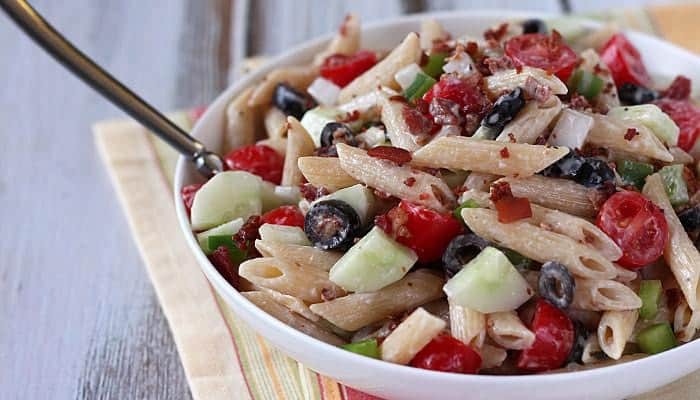 I added all of my favorite vegetables: Cucumbers, tomatoes, black olives, onions and green peppers. 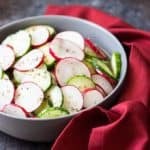 Use your imagination and fill it full of YOUR favorite veggies! These just happen to be my favorite. Oh, and bacon always makes everything better so that was a no-brainer. What’s your favorite Hidden Valley-inspired recipe? 16 ounces penne pasta (or pasta of your choice) cooked according to package directions, drained and rinsed with cold water. Prepare pasta according to package directions. Rinse and drain with cold water. 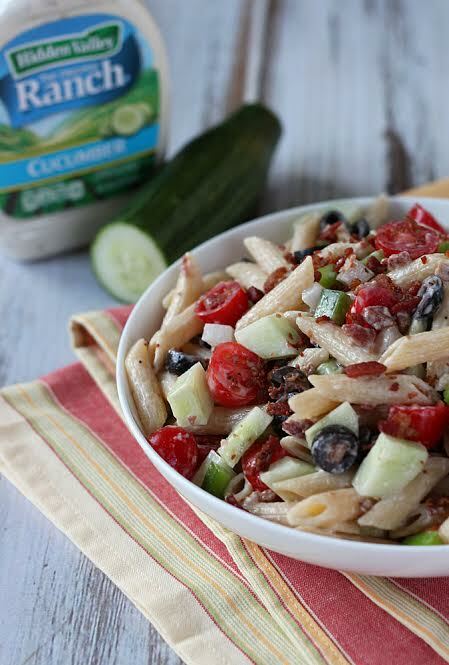 In a large bowl, add the Hidden Valley® Cucumber Ranch dressing and stir well to combine. Add remaining ingredients and gently stir to combine.